Nine months after its release in the U.S., Apple Pay will be available to iPhone 6, iPhone 6 Plus and Apple Watch users in the UK on Tuesday, local time, with support from more than 250,000 retail locations and eight major banks. 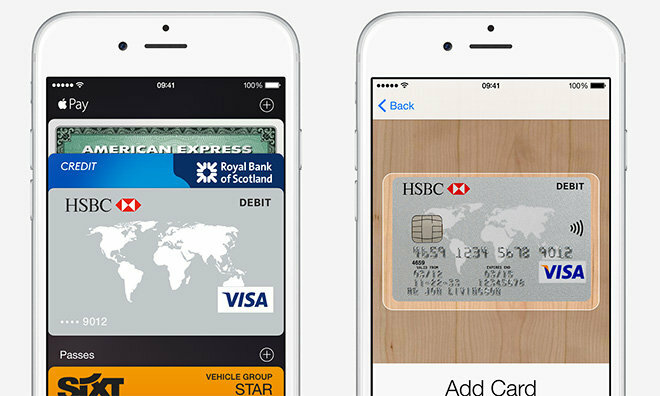 According to Apple's UK website, American Express, First Direct, HSBC, Nationwide, NatWest, Royal Bank of Scotland, Santander and Ulster Bank are counted among the first participating financial institutions, while big names like Boots, Waitrose, Pret and Transport for London are offering initial retail support. Credit card companies Visa, MasterCard and American Express are also on board. As reported by The Telegraph, future bank support from Halifax, Lloyds, and the Bank of Scotland is scheduled to hit this fall. Barclays appears to be the lone major UK bank holdout as it offers its own contactless system called bPay, though representatives have been quoted as saying an Apple Pay function would be available "imminently." Apple Pay vice president Jennifer Bailey confirmed current point of sale terminal software is capable of processing low cost transactions without verification, though purchases above 20 pounds will need software upgrades. Once merchants decide to update their POS systems, the limit is expected to rise to 30 pounds in September, the report said. Users in the UK should see services roll out as merchant POS systems update throughout the day. Apple Pay launched as a U.S.-only feature last October, offering a contactless payment solution for iPhone 6 and now Apple Watch. Since then, financial institutions across the nation have thrown in, though Apple Pay's retail presence remains somewhat limited. Following its launch in the UK, Apple is expected to expand services to China, Canada and other established markets.